Hand-fabricated and scatter-wound for that breakin'-up Tele twang. The Seymour Duncan Antiquity for Tele re-creates the beauty of an early '50s lead pickup Tele. 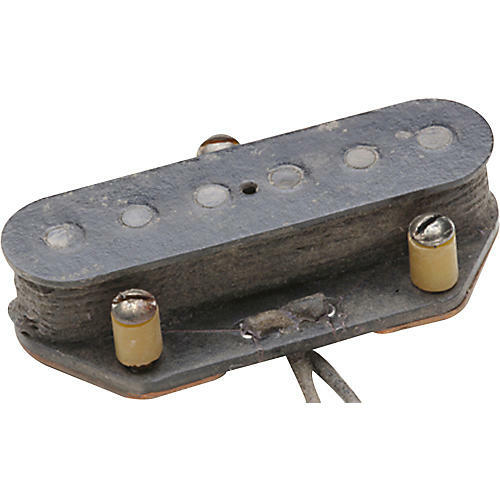 Using vintage techniques, each pickup is hand-fabricated and scatter-wound. All parts of the pickup are aged and given the look of a pickup played for 40 years. Like the originals, the ferrous bottom plates are not wax-potted for that "breakin'-up Tele twang tone" that's just on the verge of feedback. The pickups are Dun-Aged and come with mounting hardware, schematics, and tons of tone. The hookup wire is the classic "p back" cloth braid wire.